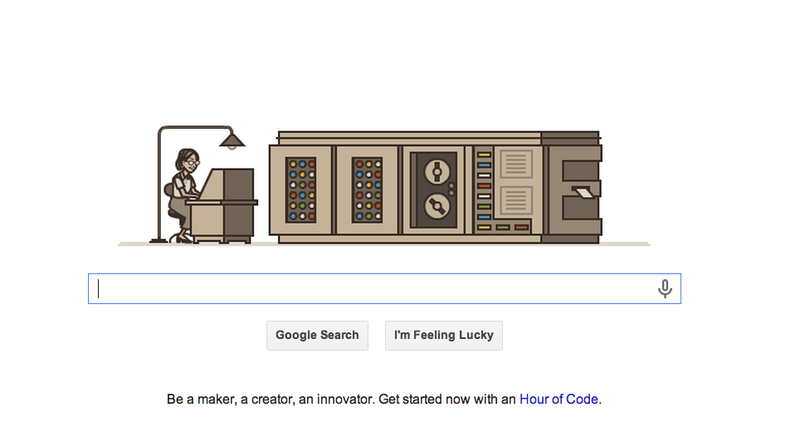 Today's Google Doodle is for Grace Hopper, pioneering computer scientist who would've celebrated her 107th birthday today. The search engine is pointing to Hopper's achievements to kick off Computer Science Education Week, the centerpiece of which is the Hour of Code project, a fun, hands-on way to get students into programming. If making Hopper the face of this initiative encourages more girls to take up computer science, then all the better.